Dad doesn’t really like baked ham; we have a leg of ham so rarely that he feels that it is unnecessary. But every time we’ve served this it has been a huge success. It is probably the most succulent way to cook a ham. 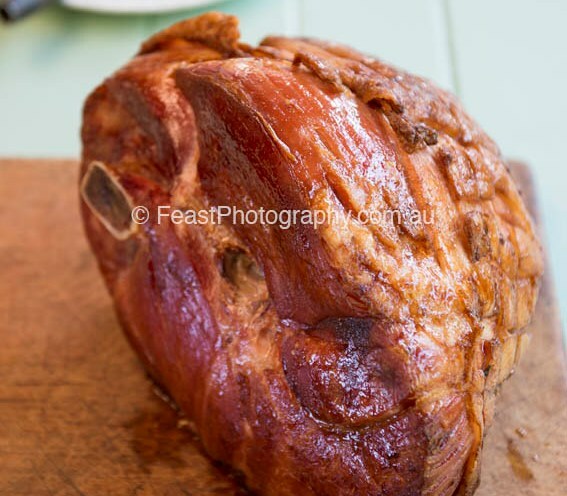 Smoked or cooked leg ham, usually about 10-12 kg. Firstly, remove the skin from the ham. This can be done the night before, in which case the ham should be re-covered with the skin, then wrapped in aluminium foil and refrigerated overnight. To remove the skin, preheat the oven to 160C and heat the ham, in a large baking dish, for ½ hour. Remove from oven and carefully peel the skin from the ham, using a small knife to help you. Try not to tear the fat. Score the fat in a diamond pattern; cut the skin off the bone and wrap the bone in aluminium foil. 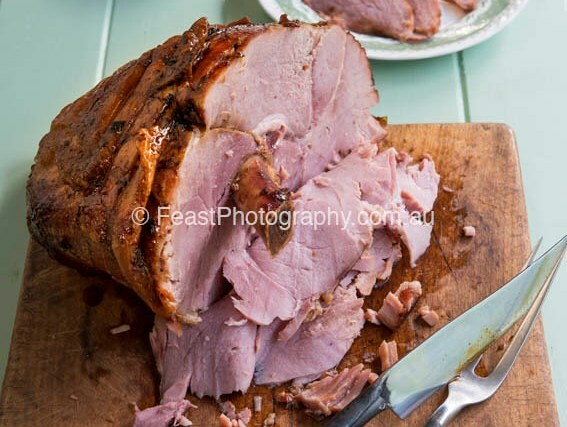 Pour 1½ cups of Guinness over the ham and bake for1 ½ – 2 hours depending on the size of the ham. Remove from oven and score the fat, cutting in even diagonal lines both ways, so that you create even diamond shapes over the surface. Baste with pan juices. Increase oven heat to 200C. Mix together the sugar and spices and add just enough stout to form a thick paste. Spread the paste over the ham and bake in hot oven for a further 30 minutes. Remove from oven and decorate with chopped parsley. Arrange pineapple rings on platter with the ham if desired.